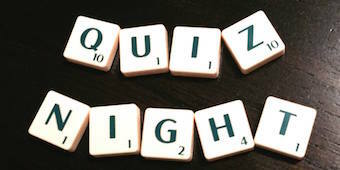 The Beverley Grammar School Old Boys Association are hosting a quiz night on Friday 23rd September 2016. The school hall will be open from 6.30pm for a 7pm start. The evening will be hosted by TV quiz show champion Ryan Taylor, an East Yorkshire native now living in Glasgow. His quizzing prowess can be appreciated in this video! Teams of maximum 8 players of Old Boys, their guests, and parents of our students are invited; tickets cost just £2.50 per person. To reserve your place just email quiz@beverleygrammar.co.uk with the number of tickets you require. Just bring your own refreshments and help support the Old Boys association at what will undoubtedly be an enjoyable & challenging evening!